Last weekend was Mother’s Day and in two weeks is Memorial Day, but this weekend we aren’t celebrating anything… So we thought it would fun to find a reason to be excited this weekend and we came up with the idea to do a Vera Bradley Giveaway. 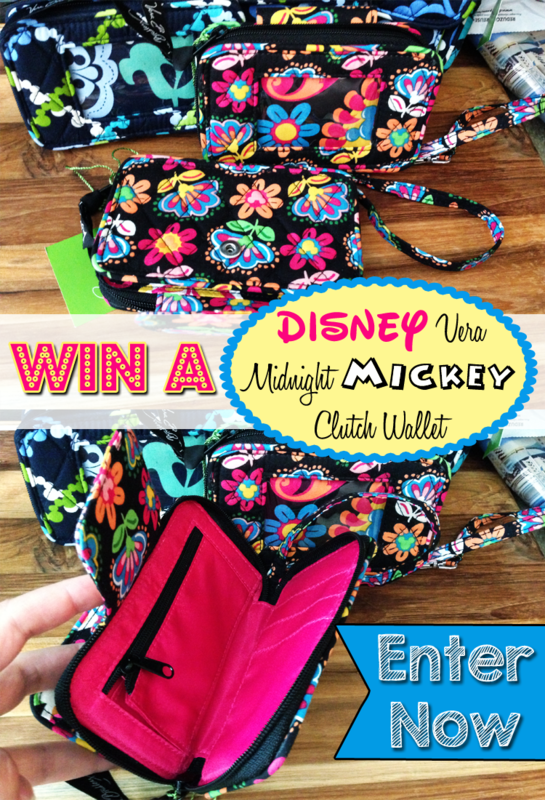 So this Non-Holiday May weekend, go ahead and enter to win the Midnight Mickey Disney Vera Bradley Clutch Wallet. 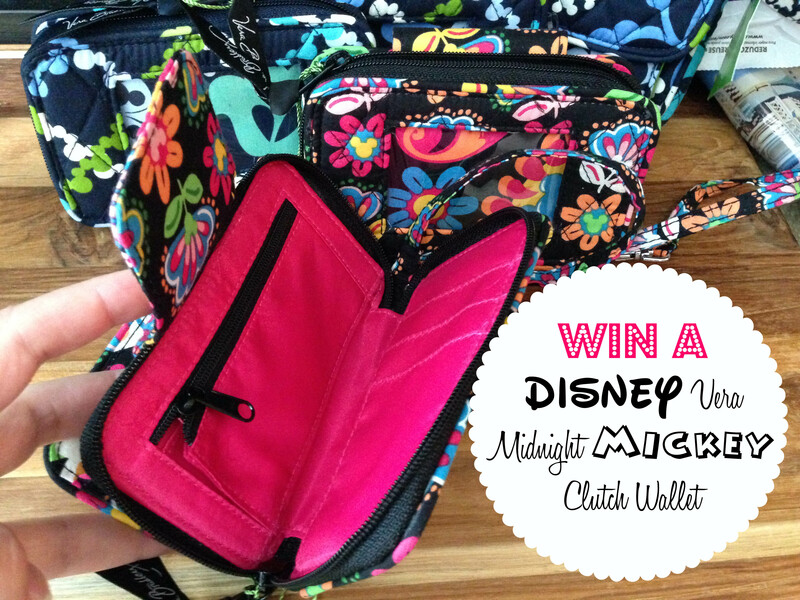 Thus Midnight Mickey Vera Wallet had a zippered back, a front id holder and snapped pocket. It is positively adorable and very Disney. 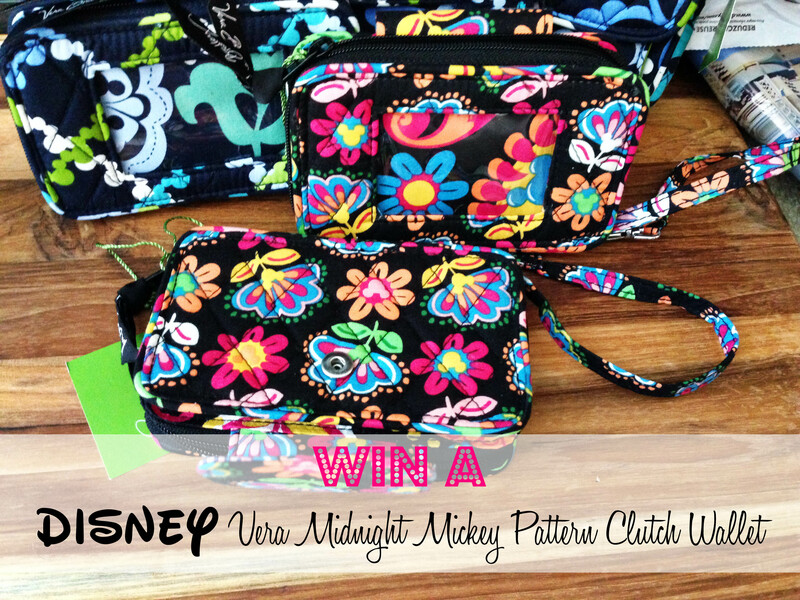 The Midnight Mickey Vera pattern was one of the first two patterns released when Disney joined forces with Vera Bradley.